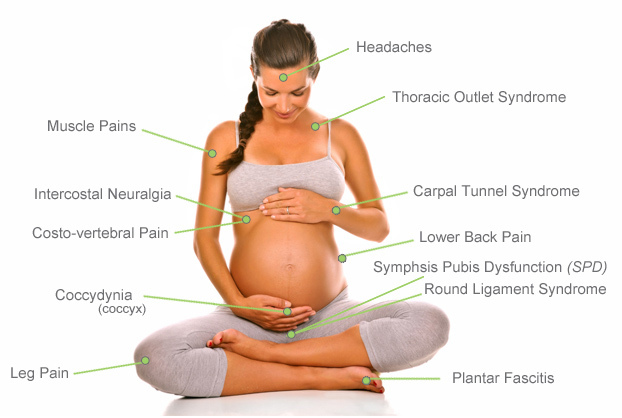 Many women experience low back pain, headaches arising from the neck and pelvic girdle pain (PGP), previously know as symphysis pubis pain (SPD), during pregnancy. This quite often makes what should be an exciting and enjoyable time very uncomfortable and miserable. Many expectant mothers are told to put up with this as it is to be expected when they are pregnant. 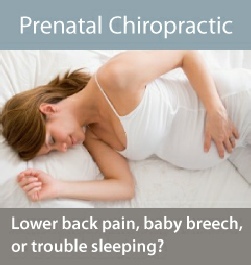 There are several reasons for pain to occur during pregnancy; one being the hormonal and physical changes that are happening to the body, but another and often ignored reason is poor musculoskeletal health that was already present prior to becoming pregnant. Our sedentary lifestyle and lack of exercise often means that the body struggles to cope with the strain of the pregnancy and as a result many women suffer unwanted pain and discomfort. It has also been shown that poor musculoskeletal health and lack of fitness can increase labour time and often results in assisted deliveries and therefore higher risk of birth trauma to both the mother and the baby. At Livingston Chiropractic Astrid treats pregnant women to restore their muscle and joint function and to relieve pain and stiffness. This helps to align the pelvis in order to give the baby the best chance of being in the correct position prior to labour and delivery. The treatment is tailored to each individual patient and is very gentle and safe. You will also be given advice on exercises and stretches to help you through your pregnancy along with guidance to assist with breastfeeding and getting back into shape after the birth. 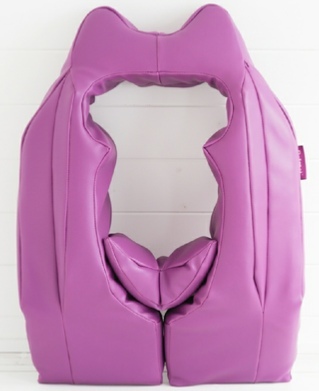 To ensure your adjustment is as comfortable as possible we use a pregnancy pillow from Belloost. This allows patients to lie and move comfortably during treatment. Using a pillow under your bump and between your legs for extra support in bed. Standing on one leg or crossing your legs.